Let me preface this post with talking about how much I enjoyed the Elastico Finale II. My absolute favorite short-sided shoe that has ever been released and one of the most comfortable shoes (including everyday footwear) that I have ever worn. So, when the news broke that Nike had plans to update the Elastico range, I was ecstatic. Now, while the main focus has now been placed on the Elastico SuperFly that now exists, the new Finale has undergone some serious changes. Good changes? We are going to find out! The best change for the Finale that occurred (before we even got it in our hands) was the change in price. Nike dropped the Finale down even farther away from the triple-digit range that typically excludes most budgets, and the quality is still of the highest caliber. 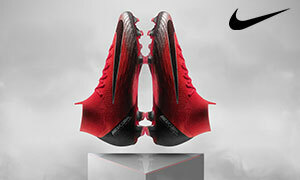 While the introduction of a new top-tier may have allowed Nike to make this move, any price change in terms of getting lowered is always welcome. In a world with too many limited boots and exorbitant prices (while I’d love for the price to be even lower), the price drop is a very positive move. 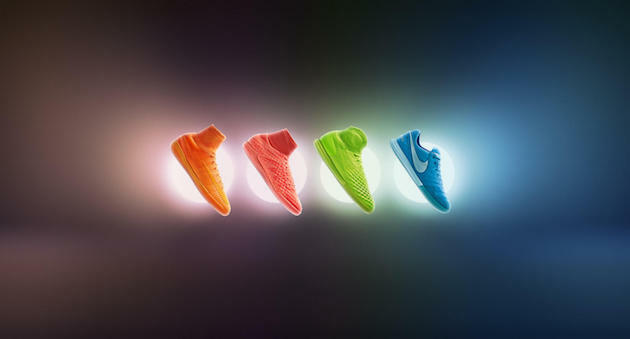 The first thing you will notice when these shoes first arrive is that Nike has taken what seemed to work best from the old Elastico (NikeSkin upper and supreme comfort) and added in some of their new “collar”-esque technology. However, instead of a collar and FlyKnit, the new Elastico uses a neoprene material that gives the glove-like fit. 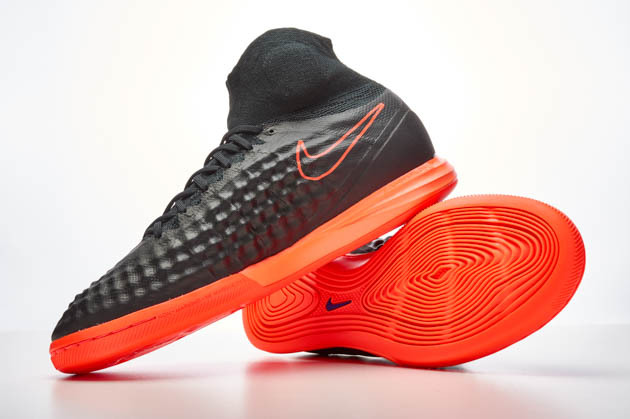 While I had an early fear about this being a glorified water shoe, Nike has only used the neoprene in areas that help give it a superior fit instead of areas that are constantly used for touch on the ball. 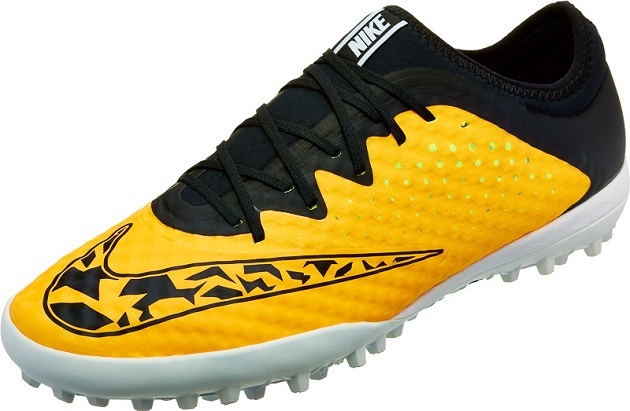 The new soleplate also is very impressive for both the turf and indoor versions. The turf pattern is composed of a uniform system of small studs that covers the entirety of the sole, and it is a big shift from the patterns we used to see with Nike AG or the Bomba Finale pattern. The indoor is less of a change, but it feels set-up in a way that will provide an amazing bit of traction on indoor surfaces. This is a big factor for me as one of the local gyms near me is amazingly old and has the floor covered in a never-can-be-cleaned layer of dust. 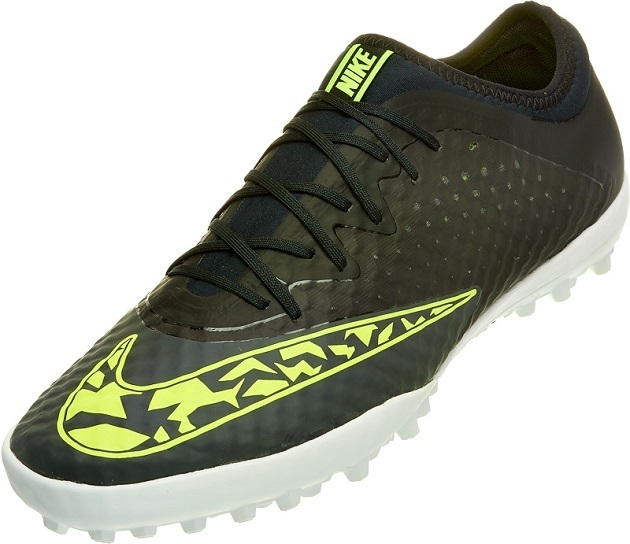 Whenever I play there, I tend to use shoes with a turf pattern in order to avoid slipping but the new Nike indoor sole feels like it may be the first indoor shoe to not act like a slip n’ slide…all small improvements, but the initial product did not need much added to it to improve it. The testing has yet to truly get underway, but a kick-around and a few wears around the house have me very excited about Nike’s newest Elastico. While the fear of replacing my favorite indoor shoe is still lingering a bit, every moment in the new version helps get me closer to erasing that fear. The only negative that I have found so far is that there is a bit of stiffness where the lacing meets the toebox, but it is already starting to loosen up a bit. 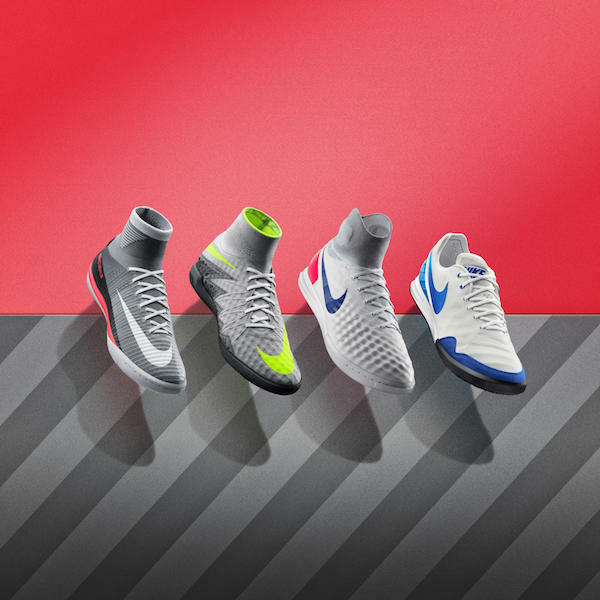 Keep your eyes peeled for more from Nike’s indoor gear over the next few weeks as we test the Finale! Thanks for the review! I love the Finale 2. Looking to either get 3 or the turf version. I am slightly confused with the sentence above. Do you mean that used to wear turf shoes on that futsal court with a layer of dust on the floor to avoid slipping? And now you don’t slip with these new shoes which are meant for turf. What I don’t understand is you wear turf shoes on an indoor court with a hard floor (assuming that since you mentioned dust) and if you are reviewing a turf shoes so why would you slip and slide? Especially using it on a hard court?